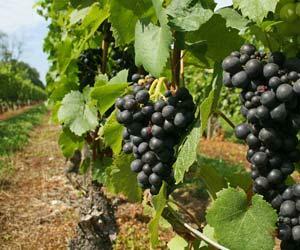 On four occasions at least, the governing authorities in Burgundy issued bans on growing Gamay Noir. Anyone tasting Blue Mountain’s recently released 2017 Gamay will wonder why the varietal suffered all this hostility. Perhaps Burgundian vintners were not growing it as competently as Blue Mountain, where the grape produces a full-bodied red that is eminently drinkable. Numerous wine writers have recounted the attempts to banish Gamay. I rely on the authoritative account in Wine Grapes, the massive 2012 book on 1,368 varietals by Jancis Robinson, Julia Harding and José Vouillamoz. It is difficult to understand such a far-fetched notion. However, there were further bans against planting Gamay in Burgundy in 1567, 1725 and 1731. The fatwa against Gamay clearly failed. In 2009, there were more than 75,000 acres planted in France. It is the grape that produces Beaujolais. The last time a vineyard census was published in British Columbia, we had a mere 150 acres of Gamay planted. However, the wines being produced hardly reflect whatever it was the irritated the Duke in Burgundy. In addition to Blue Mountain, other B.C. producers of excellent Gamay include Robin Ridge Winery, Desert Hills Estate Winery, Deep Roots Vineyard and Joiefarm. That is not an exclusive list, just producers that come to mind. The Blue Mountain Gamay 2017 has just been releases at the winery and it soon be in wine stores and restaurants. This is also the case for the 2017 Chardonnay. How serious is Blue Mountain about Gamay? The winery grows three clones of Gamay and the vines are 12 to 30 years old. The winery does not break out its acreage but I suspect this is one of the largest blocks in the Okanagan. The winemaking techniques are precise. The grapes are hand-harvested and destemmed into open-top fermenters. The 20-day maceration on the skins includes both pump-overs and punch downs. Fermentation is with native yeast. The wine is aged 12 months on the fine lees in four-year-old French oak. The Duke of Burgundy seemed to have no issues with Chardonnay. However, the variety suffered from modern-day fatwas from consumers who decided they would drink anything but Chardonnay. That bias stemmed from a predominance of over-oaked Chardonnay wines in the 1980s and 1990s. That style has largely disappeared. 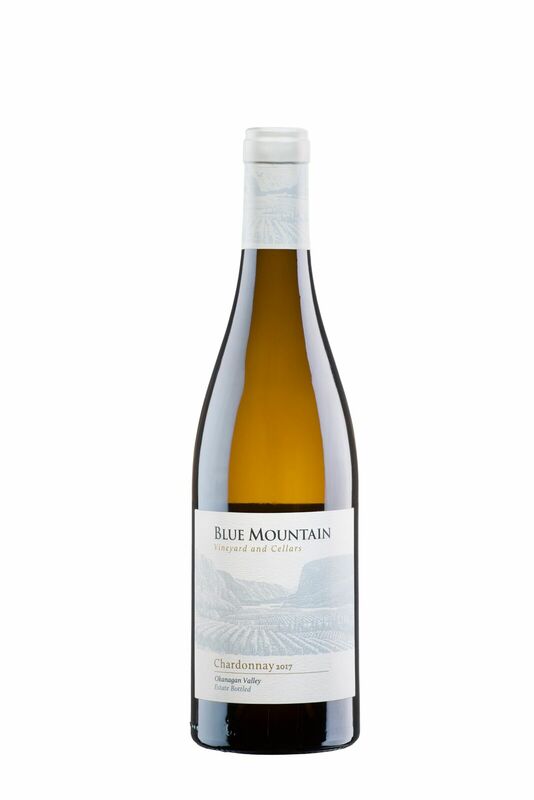 The Blue Mountain Chardonnay is fresh and bright with just a subtle suggestion of oak aging. It is not surprising that the wine is sold out. Blue Mountain Chardonnay 2017 ($21). This is a delicious wine with aromas and flavours of citrus, peach and pear. Aging on the lees has given the wine good weight and a delightful nutty note on the finish. 92. 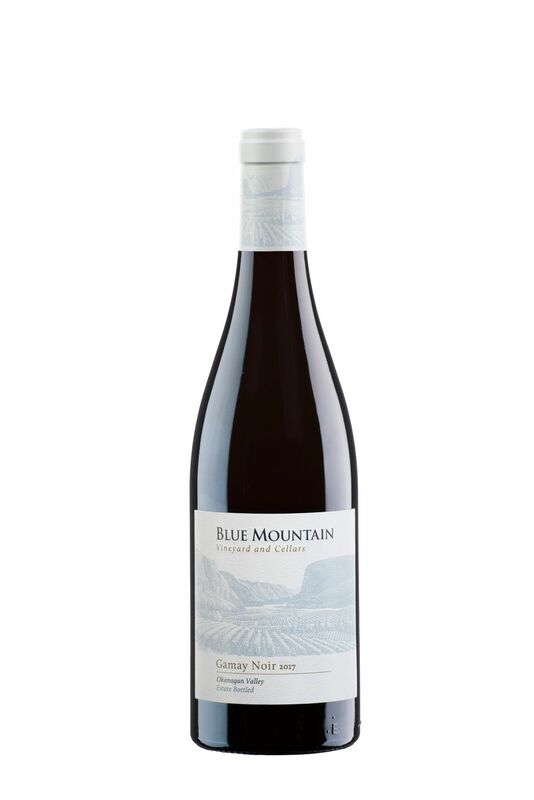 Blue Mountain Gamay Noir 2017 ($23). Dark in colour, the wine begins with aromas of black cherry and cassis. On the palate, the texture is fleshy with flavours of black cherry and blackberry and with a lingering, spicy finish. 92.